In the first three months of 2014, the Tennessee Highway Patrol (THP) had issued 28,850 seat belt citations, which is a 69% increase in the number of citations issued in 2013. The THP is on a mission to increase seat belt usage because this year has already seen an 18 % increase in the number of unrestrained fatalities. 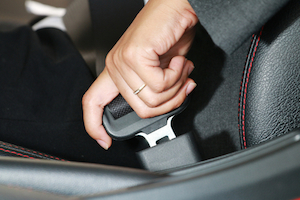 More than half of the people killed in auto accidents this year were not wearing their seat belt. At The Law Offices of John Day, P.C. our award-winning lawyers are privileged to represent accident victims. To determine whether we can help you and your family, we offer a free, no-obligation consultation and we handle all accident cases on a contingency basis so you are never out of pocket any money to pursue your rights. Call us anytime at 615-742-4880 or toll-free at 866.812.8787 to discuss your case. How Do I Decide Which Personal Injury Attorney Is Right For Me? What Is Subrogation and How Will It Affect My Financial Recovery?